This article is about the indian cricketer yusuf pathan, a young aggressive batsman. Here is given the profile, career and records of this young and talented players. His performance in world cup is also analysed. Yusuf Pathan is an Indian Cricketer and the member of World Cup 2011 Winning Team. An aggressive batsman and a good right arm off break bowler, Pathan has a good qualities of being a good All-rounder. Mainly known for hitting big shots out of the ground, Yusuf is a very successful IPL Player. Yusuf started his first class career in year 2001, but he got chance in International Cricket in the Finals of T20 World Cup 2007, and scored an aggressive 15 runs in the match. He than was selected for the Rajasthan Royals Team in IPL Season 1, where his allround performance was one of the reason the Team won the Tournament. He scored 435 runs and took 8 wickets in the tournament. After a good IPL season, Yusuf Pathan was called by the selectors in the Indian ODI Team, where he struggled to make runs due to not getting enough time on the wicket for batting and comes at the lower middle order but impresses with his bowling. His best period came when he scored a brilliant century against New Zealand of 123 not out and secured a win for India. He scored his second century on the next tour game against South Africa where he stuck 8 sixes in that innings but can't won the match for the team. He got highly praises by the opponnent captain Greame Smith for this inning. This performance secured his place in the World Cup 2011 Team in the Middle order. 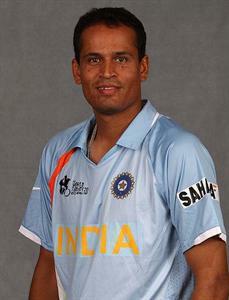 Yusuf Pathan lost his form in the World Cup 2011, where India won the Tournament. He played in all the league matches but can't plays in the Knock out stage of the tournament, where his place was taken by Suresh Raina.